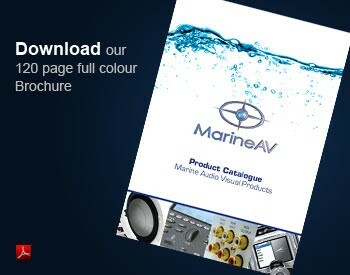 Add more power to your marine speakers by connecting a Fusion Marine Amplifier to your audio system, or install with a subwoofer to increase the bass level of your music. Generally, a 4 Channel Marine Amplifier can be used to power two pairs of Marine Speakers and a Marine Subwoofer. Marine Amplifiers feature anti-corrosion treated PCB�s and stainless steel end panels for maximum corrosion protection.